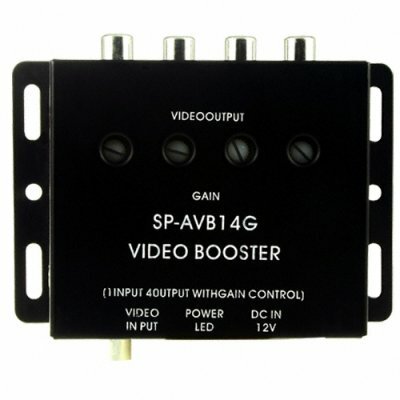 Successfully Added 4 Channel RCA Video Booster to your Shopping Cart. 4 Channel RCA Video Booster. Are you sick of getting a washed out signal on the rear most screen of your car? Or do you easily want 4 monitors to show the same picture? This is what you need, a simple but effective video booster that splits one input signal into 4 output signals whilst maintaining the originals integrity. The 4 channels are all individually gain adjustable so you can make get your rear monitors to show the same looking picture as the front. Buy now and take advantage of Chinavasion's wholesale prices, 12 month warranty and blind shipping services.